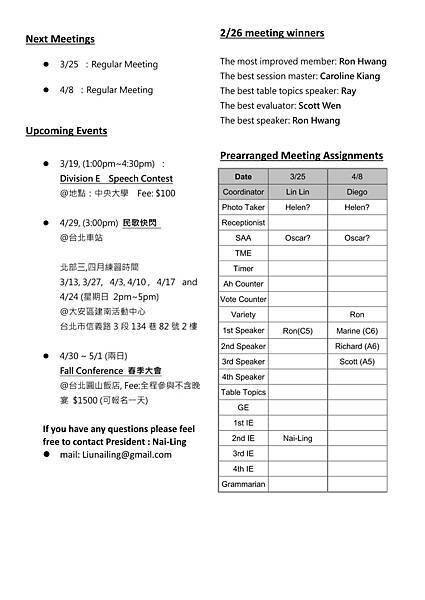 You are invited to join the meeting of Chungli Toastmasters Club on 2016-03-11. 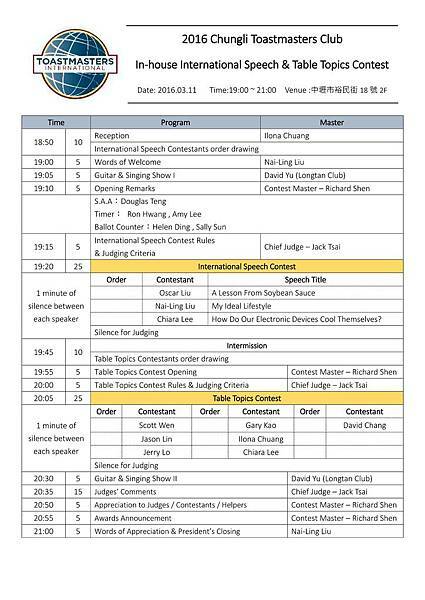 It’s THE evening, on this Friday evening, ten outstanding mbembers will fight for the honor of representing Chungli Toastmasters Club. but in a happy, merry manner. Because the contest is not just a contest but a chance of self-improvment. Come and check out which of the two will stand out from the elites.